This property is a Section 42 Tax Credit LIHTC housing program. We offer 3 and 4 bedroom apartments with income limits and some student restricitions apply. Owner elects Special-Needs Housing Commitments, such as Large Households, Disabled Households and Homeless Households with a full description of these commitments in the Rental Office. We also accept housing authority provided Section 8 vouchers. Please call for details. Three and four bedroom affordable apartments with a mountain view. 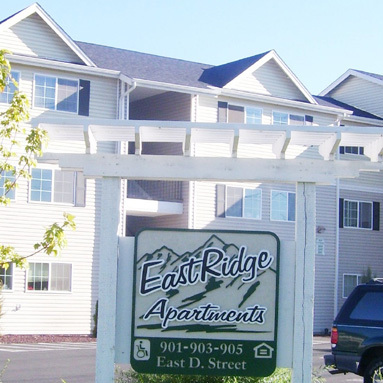 Conveniently located close to schools, I-82, the YMCA, Target and Walmart. Playground & assigned parking. Third floor units have vaulted ceilings. Pet friendly with additional deposit. $40.00 non-refundable screening fee per adult, 18+ years of age. Rent Detail: We have disabled, homeless and large family set-asides. Please call for details.